Hull FC have confirmed that Bath winger Tom Biggs will not be joining the club. The England Saxons man, 29, was set to join the Super League side in a cross-code move at the end of the Premiership season on a deal until the end of 2016. 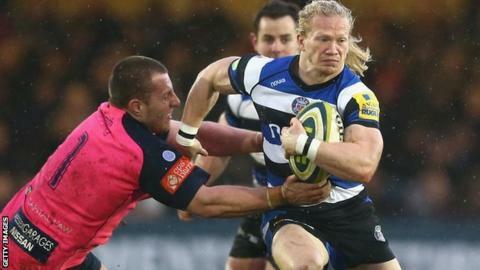 Recent speculation has seen him linked with a move to Worcester Warriors. In a statement Hull FC, who were knocked out of the Challenge Cup by Salford on Thursday, said they now hope to complete the signing of another player within the next fortnight.